Known as the home of golf, Scotland offers a range of excellent Scottish golf accommodation, from luxury hotels to small B&Bs and holiday cottages close to the fairways. For many golfers Scotland is the home of golf, with a huge range of excellent courses across the country. Depending on who you believe, there are anything from 500 to 600 registered golf courses in Scotland. Whatever the exact number is, there are plenty to choose from if you plan a golfing holiday in Scotland! They range from famous courses such as St Andrews, Turnberry, Gleneagles, Carnoustie, Royal Troon and Muirfield, to equally beautiful if less well known courses such as Royal Dornoch and Kingbarns. 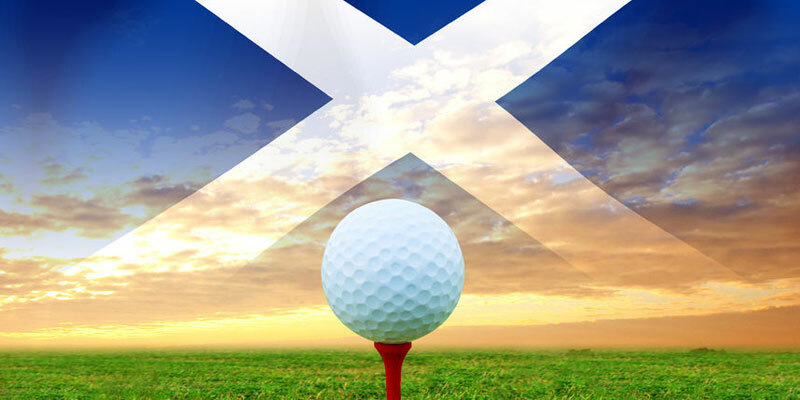 Scotland hosts some of the biggest tournaments in golf each year and in 2014 hosted the Ryder Cup. The grand Gleneagles Hotel in Perthshire was the venue for the 2014 Ryder Cup. The 2013 Open Championship was hosted the magnificent Muirfield, one of the oldest golf clubs in the world. So if you are looking for the best in golf holiday accommodation in Scotland, or want to book accommodation for the next open golf tournament in Scotland, then please take a look at the hotel, bed and breakfast and cottage accommodation we have on offer close to golf courses in Scotland.